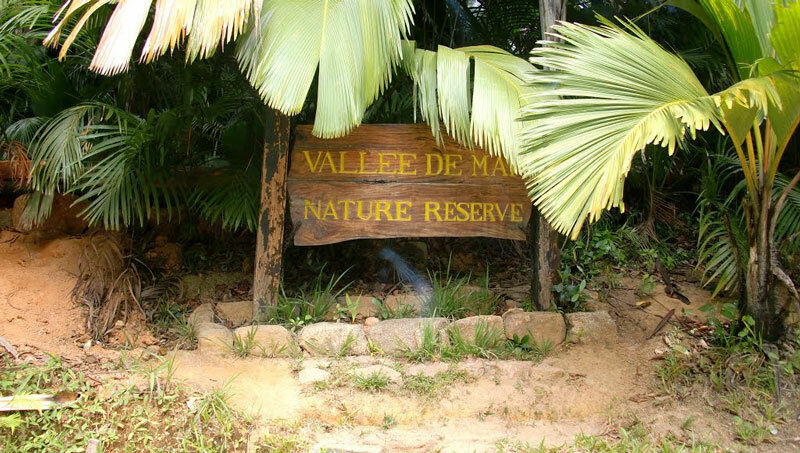 Vallée de Mai Nature Reserve ("May Valley") is a nature park and UNESCO World Heritage Site on the island of Praslin, Seychelles. It consists of a well-preserved palm forest, flagship species made up of the island endemic coco de mer, as well as five other endemic palms. The coco de mer (Lodoicea maldivica), a monocot tree in the Arecaceae (palm family), has the largest seeds (double nut seed) of any plant in the world. Also unique to the park is its wildlife, including birds such as the rare Seychelles black parrot, mammals, crustaceans, snails, and reptiles.There has been a determined effort to eliminate all the introduced exotic species of plants from the area but this has not been successful in eliminating coffee, pineapple, and ornamental palms thus far. 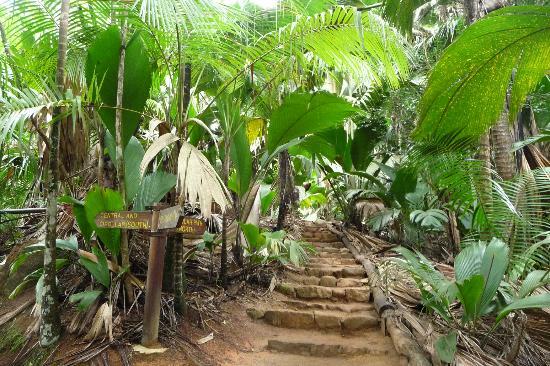 This forest, with its peculiar plant and animal species, is a relict from the time when the supercontinent of Gondwana was divided into smaller parts, leaving the Seychelles islands between the present day Madagascar and India.